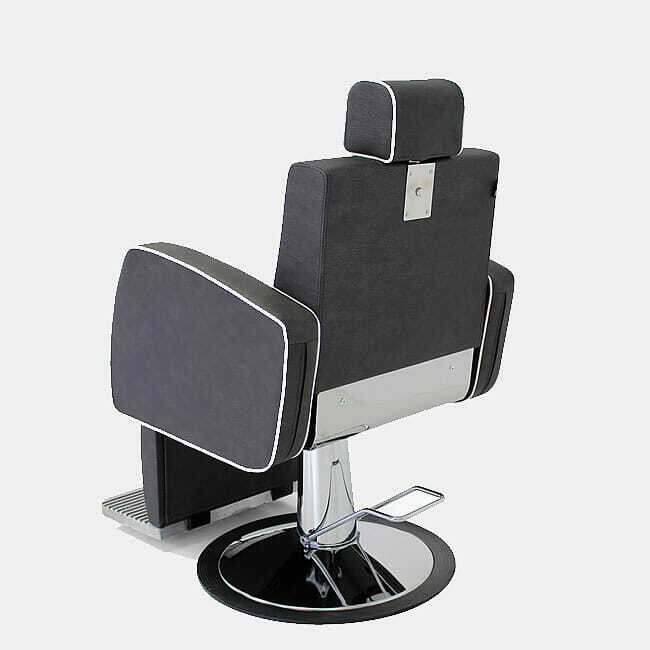 A beautifully retro piece of furniture that comes in many upholstery colours. 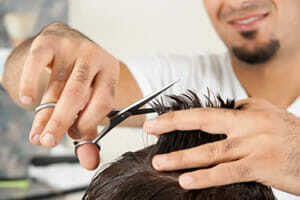 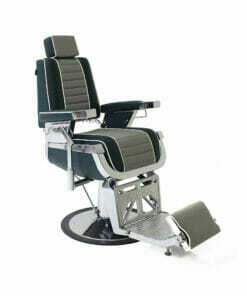 A luxury seat for a gentleman’s cut. 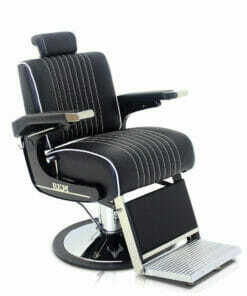 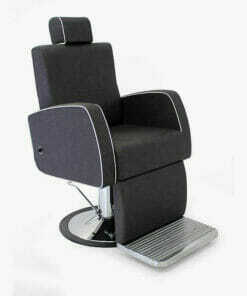 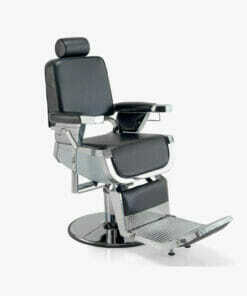 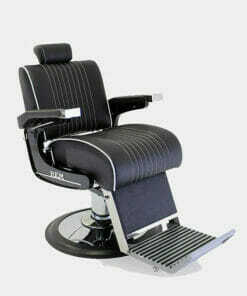 Stunning design barbers chair with retro overtones. 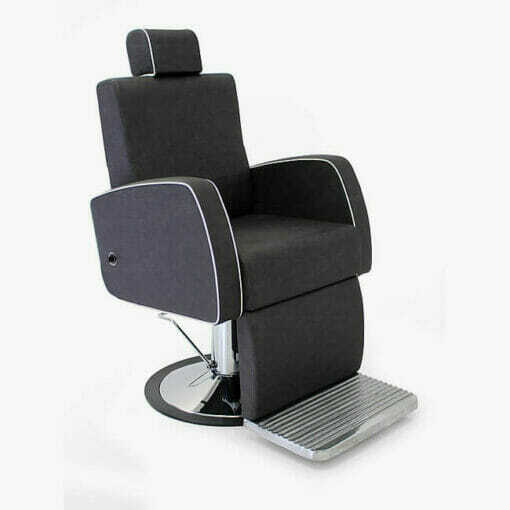 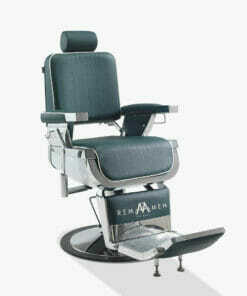 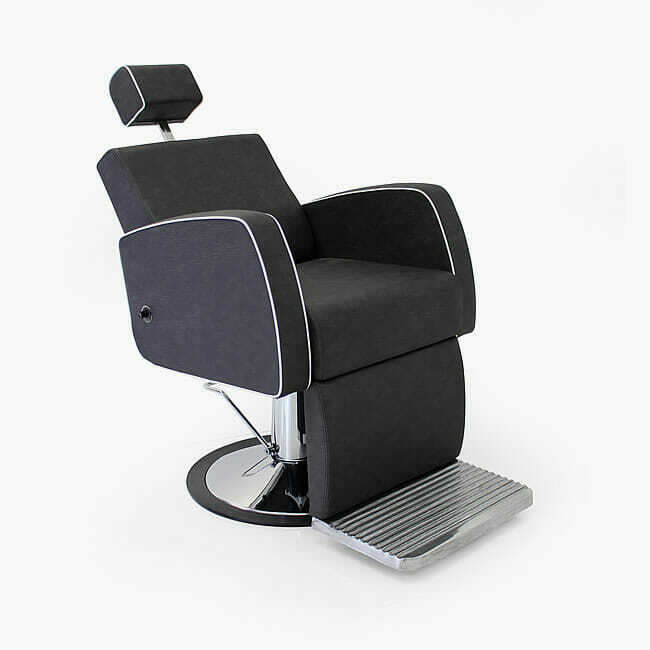 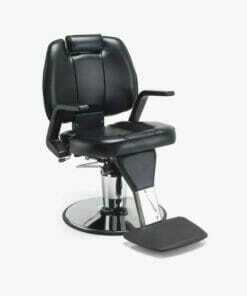 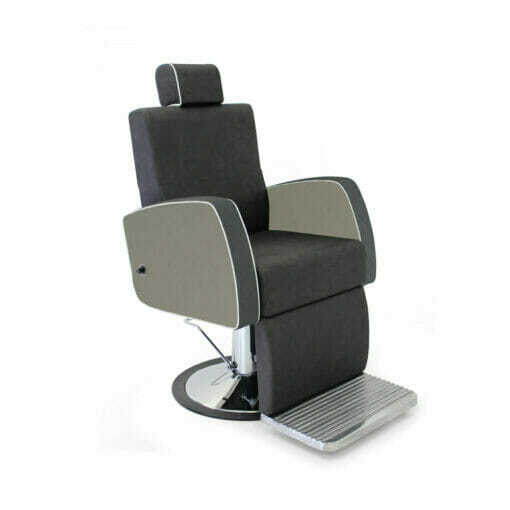 The REM Aviator Barbers Chair features a reclining back and adjustable head rest. Made with a steel internal chassis and fully upholstered seat & arms for added client comfort. 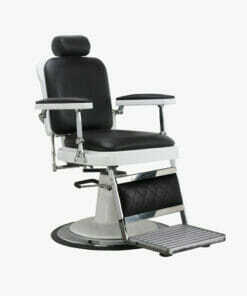 Supplied on a chrome, rubber ringed circular base for excellent stability. 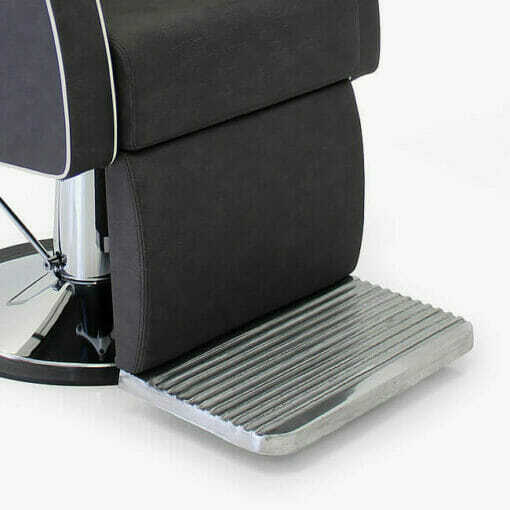 With a heavy duty cast aluminium footrest giving a unique ‘retro’ feel. 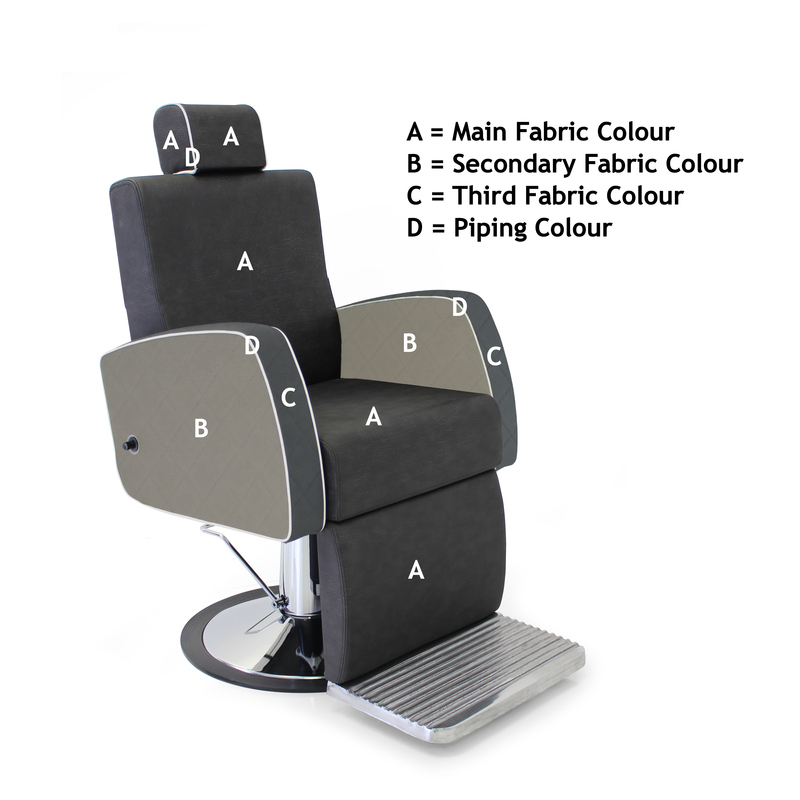 The REM Aviator Barbers Chair is available in any upholstery colour from the REM fabric range with contrasting piping at no extra cost.  Please use the swatch guide belowto choose your colours.  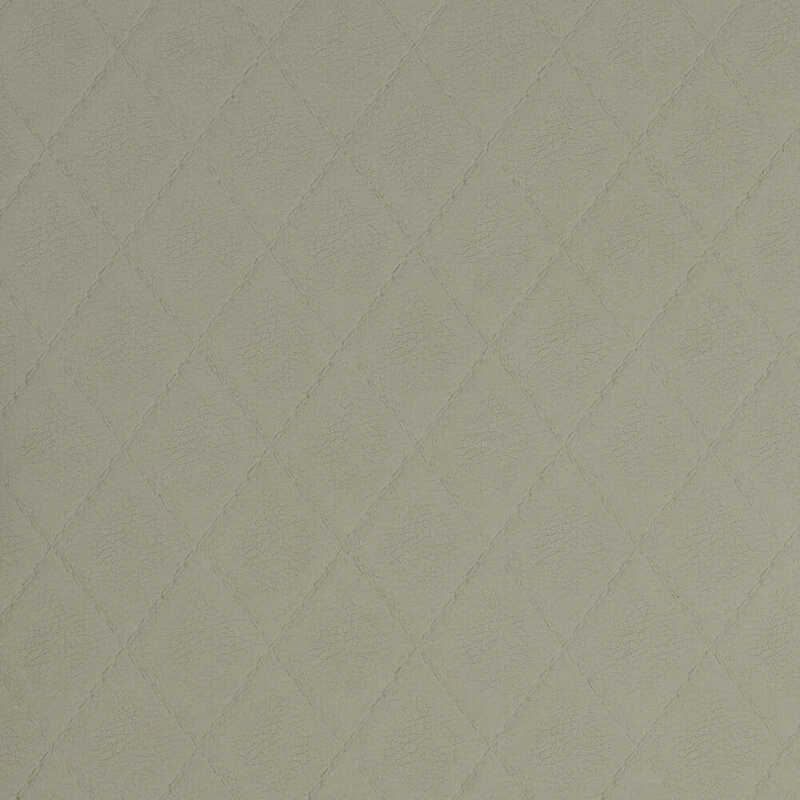 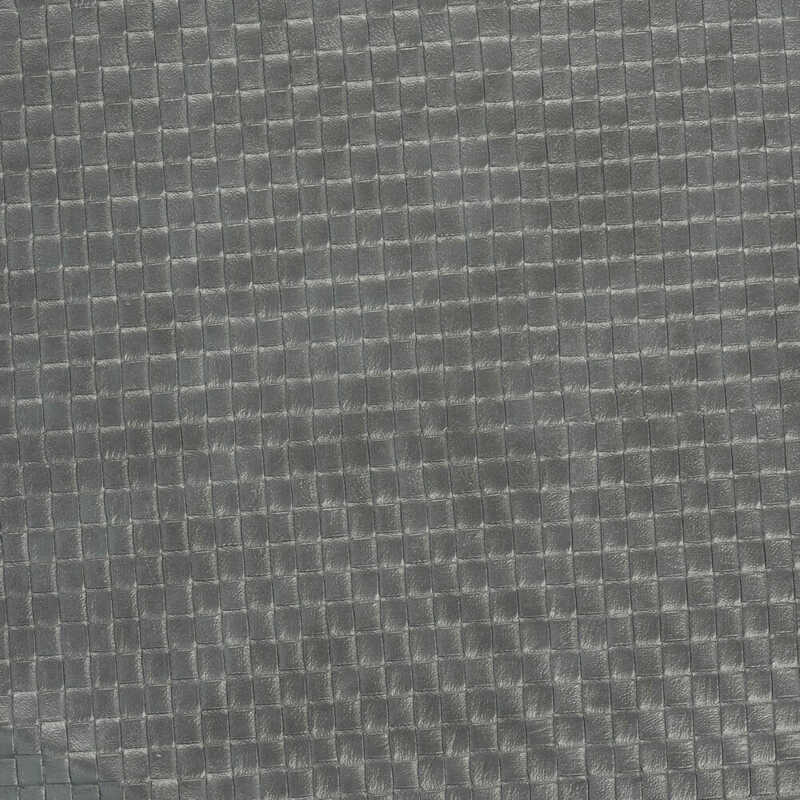 All fabrics are fire resistant to Crib 5 standard.    Alternatively, call us on 01270 630280 to discuss colour combinations in more detail. 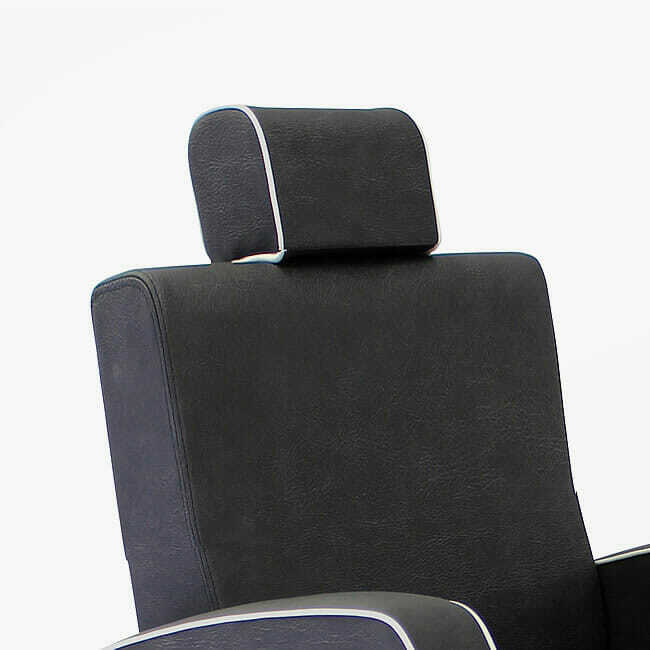 All Rem furniture carry a 3 year warranty, this intended as an additional safeguard and benefit for buying and using REM products and does not affect your statutory rights. 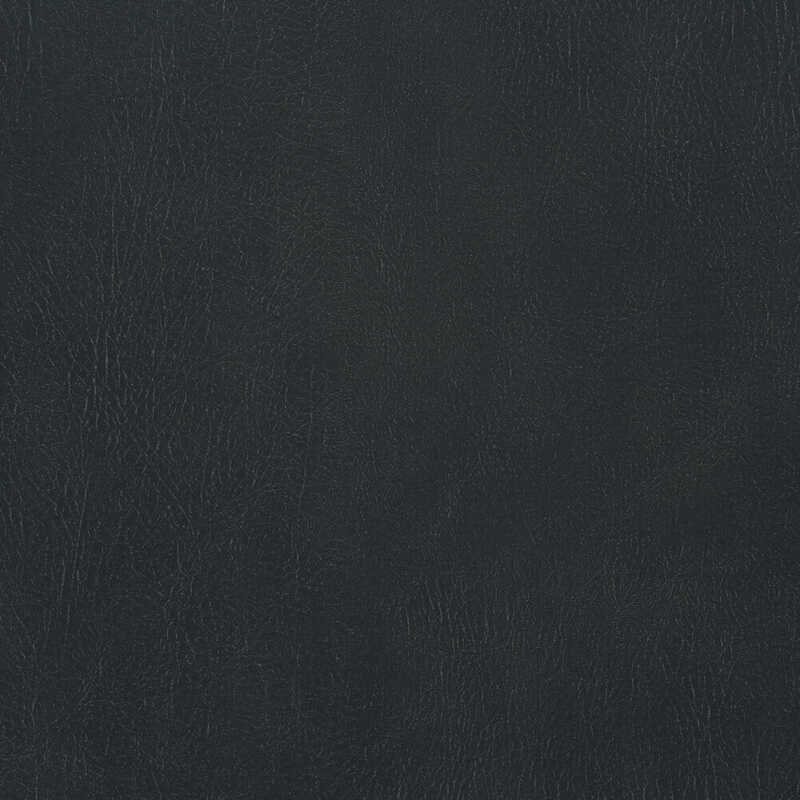 Dimensions: Height 57 – 71cm.  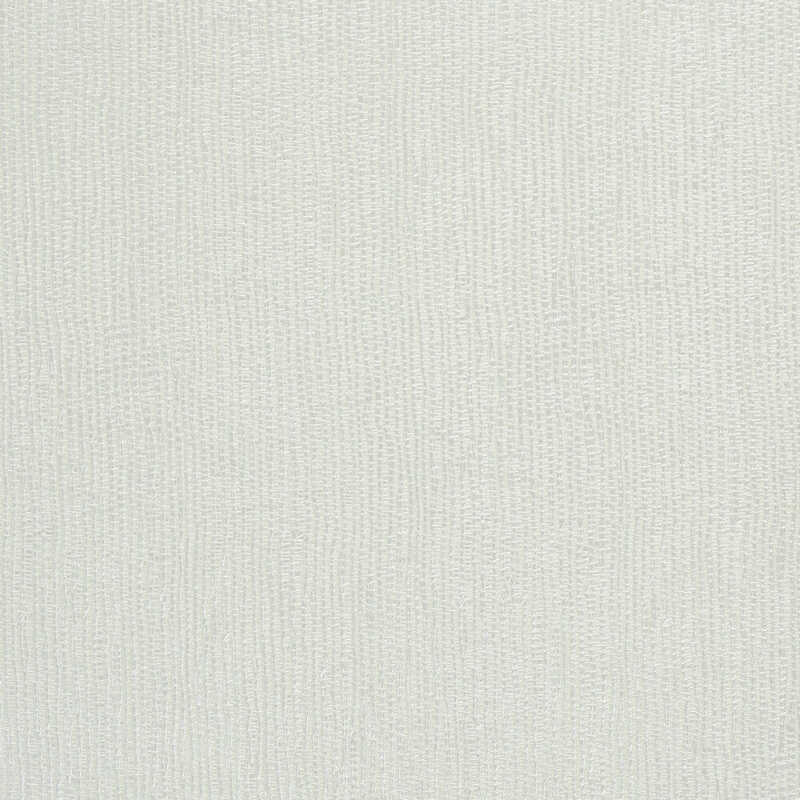 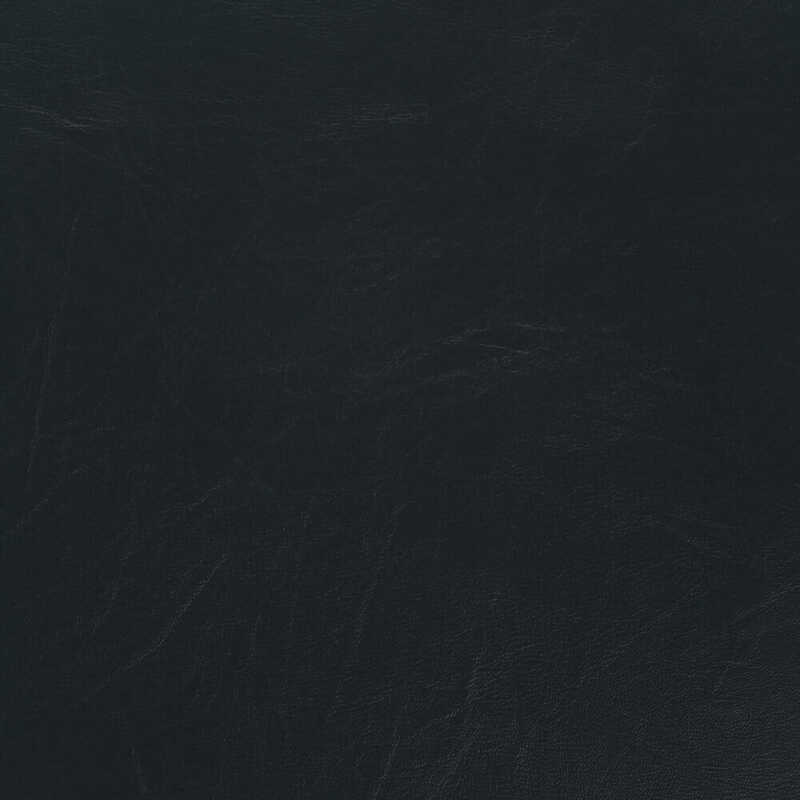 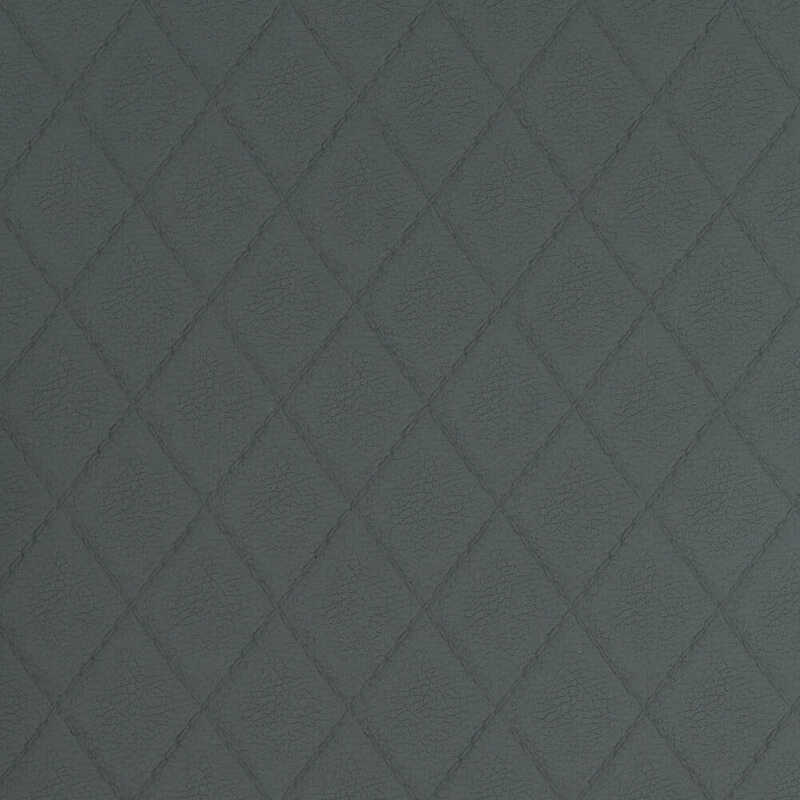 Width 67cm. 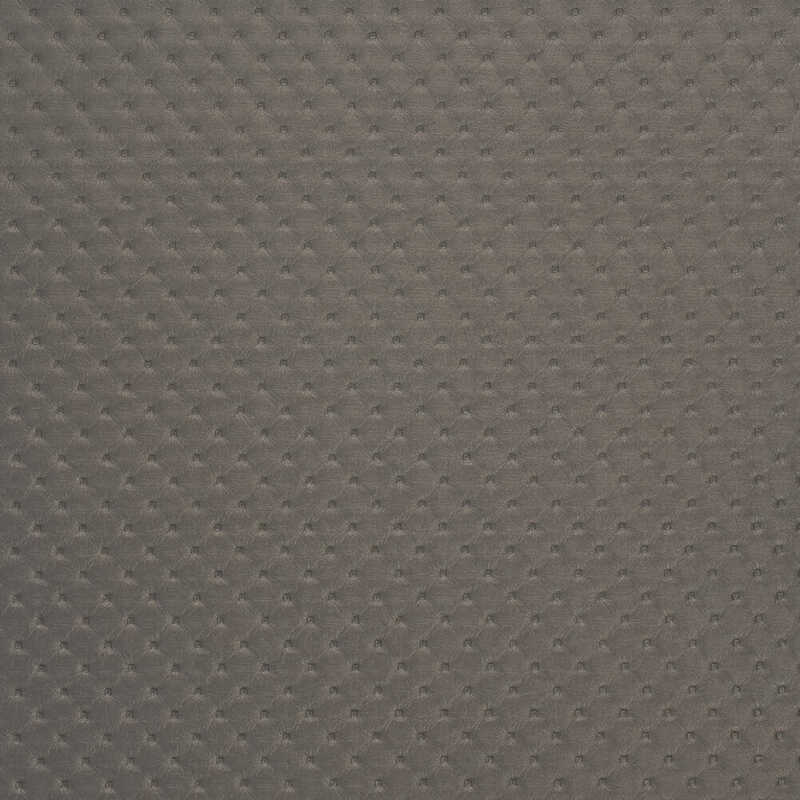 Depth 100cm. 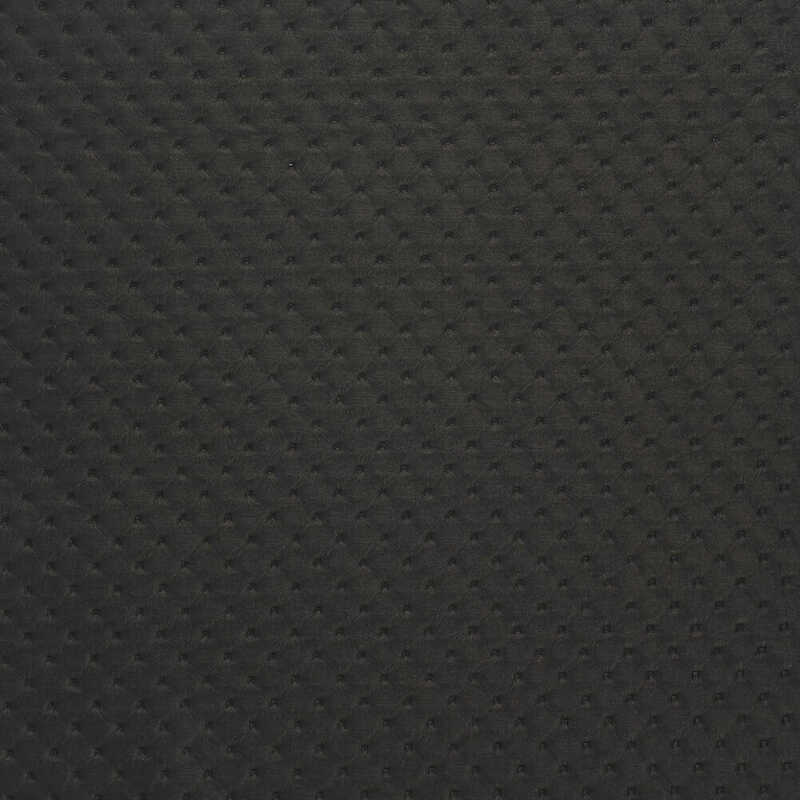 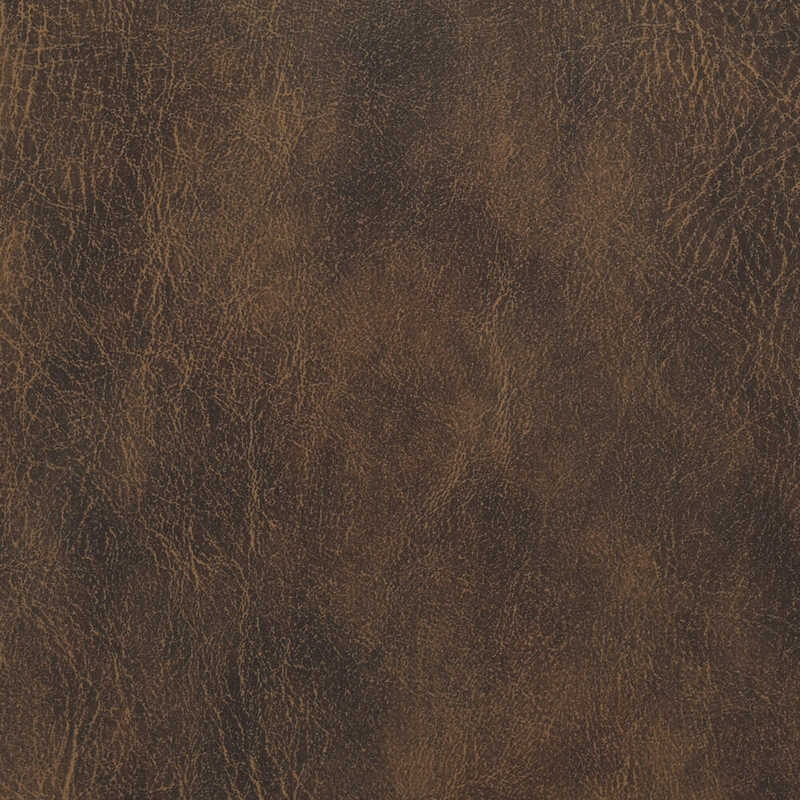 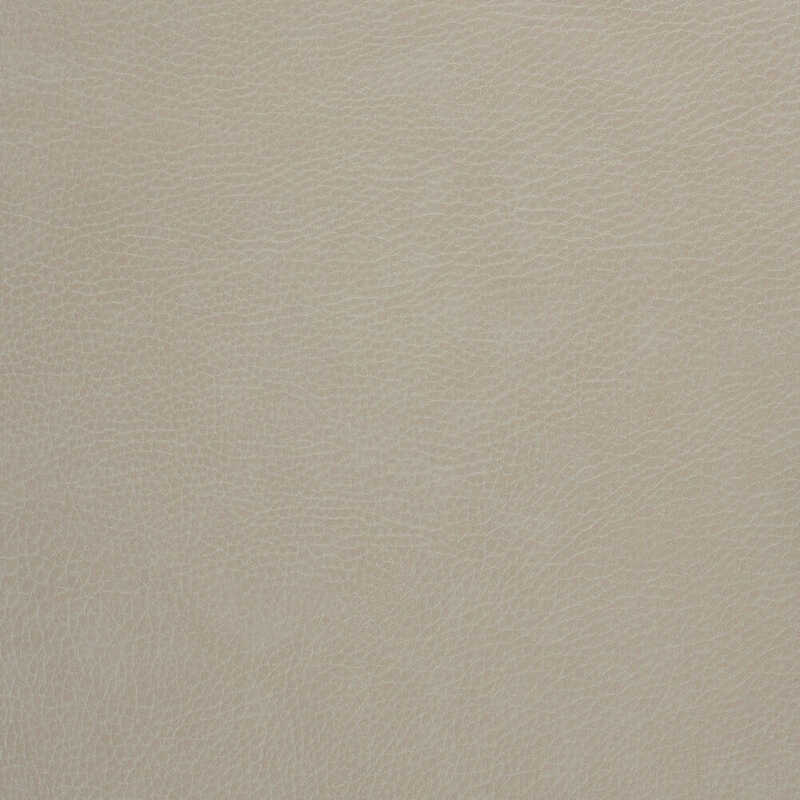  Aviator Barbers Chair – Dimensions Sheet. 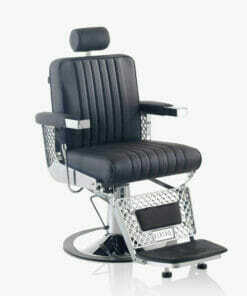 Aviator Barbers Chair – Instructions Sheet.